Eric Roberson’s core practice areas are in commercial real estate, real estate finance, banking and commercial lending. 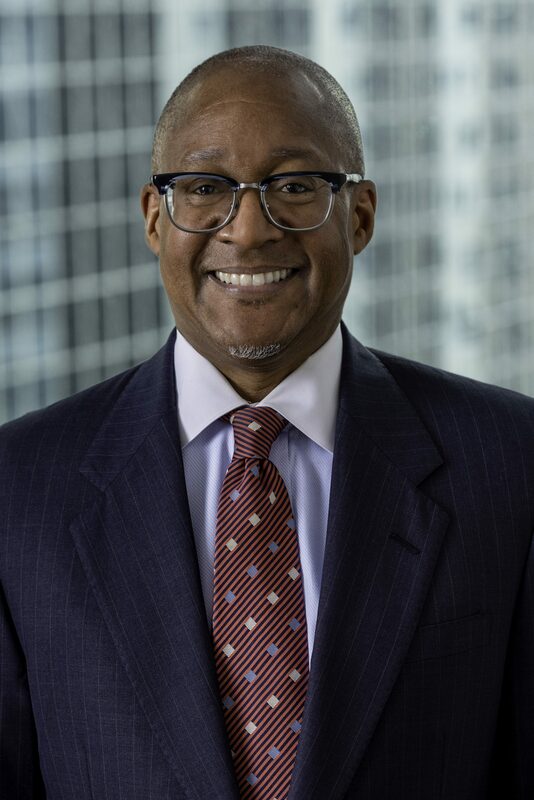 Prior to joining Boodell & Domanskis, LLC, Eric Roberson was the Director, Legal Services of a Chicago-based community bank. In that role he managed the bank’s legal department, was a voting member of the bank’s loan approval committee, the risk management committee and the Suspicious Activity Reporting Committee. Eric Roberson also spent 18 years at a large Chicago-based law firm in its banking department with 9 of those years as a partner. As a member of the firm, he primarily represented banks and insurance companies in commercial real estate transactions. • Drafting, negotiating and reviewing loan documents, forbearance agreements, loan modification agreements, settlement agreements, note sale agreements, subordination agreements, inter-creditor agreements, non-disclosure agreements, vendor agreements, SNDAs and real estate purchase and sale agreements on behalf of lenders. • Negotiating syndicated credit transactions and participation agreements on behalf of lenders. • Negotiating commercial real estate leases and real estate license agreements. • Member of the Illinois State Bar Association. • Member of the Chicago Bar Association.